Favorite characters from Marvel's Spider-Man comics! They measure approximately 1 1/2-inches tall. Display case contains 24 individually blind-packaged mini-figures. 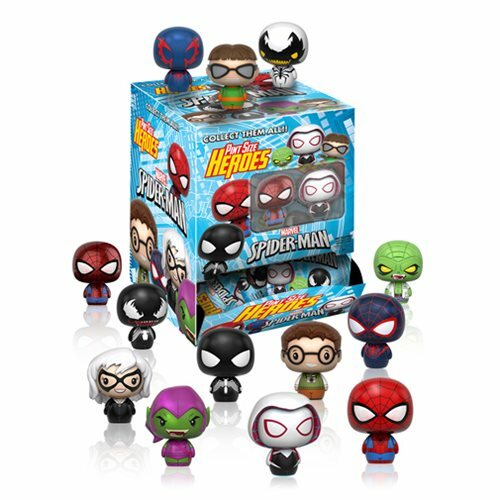 The larger-than-life characters of Marvel's Spider-Man comics are now Pint Sized Heroes with a Funko touch! Your favorites from Spidey's world measure approximately 1 1/2-inches tall. They're fun to play with and collect! Ages 3 and up.